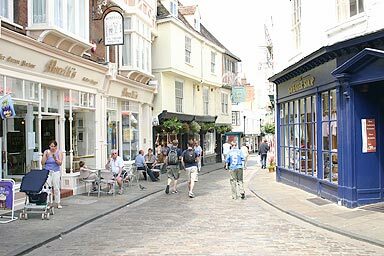 Sun Street is not strictly for pedestrians only, but people are used to walking on the street in the rest of the town and do so here. The three storey building in the centre of the picture once was the Sun Hotel where Charles Dickens stayed when visiting the City. On your right here is the Cathedral Gate and behind you is Mercery Lane.